This is a beautiful old century home on a large corner lot in a peaceful Baysville neighbourhood. The home has been carefully restored to maintain the integrity of the original house. There are three bedrooms, an eat-in kitchen, summer kitchen, parlour (with work station and guest computer) and a dining room as well as a great room with french doors opening onto a secluded back deck. A grand front porch spans the entire width of the house. 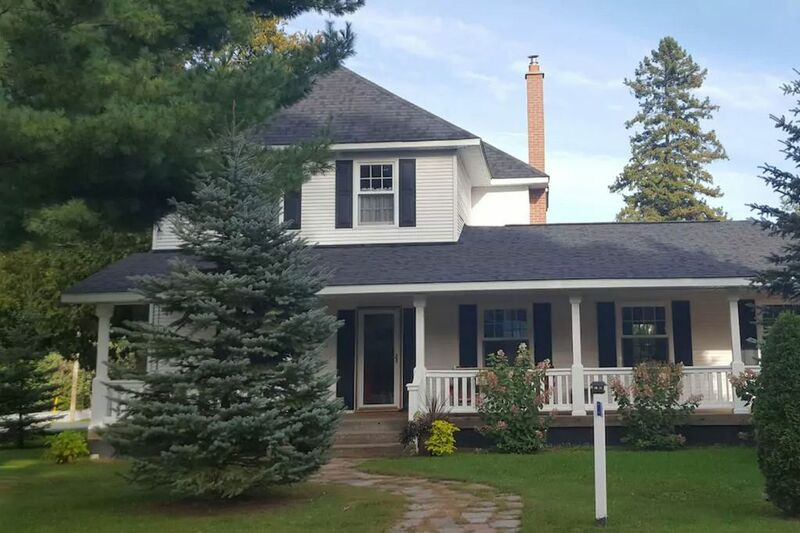 This is a perfect home base for a couple or family who wants to explore the real Muskoka. An attached private park offers an unparalleled event space for weddings or reunions. The southern tip of Lake of Bays (great swimming area) is literally a few steps down the road and the Muskoka river runs along the town (great kayaking). We prefer no smoking in the house, but there are lovely porches/patios for that purpose. This was a great house for our family. We stayed a full week and we were very comfortable. The location was perfect for us and we really enjoyed spending time on the huge front porch. We would suggest that a microwave and a trash container would be helpful in the kitchen. Otherwise we loved it!